The 2017 Papua New Guinea general election threw the complexities and challenges of democracy in the country into stark relief. Papua New Guinea’s elections are purportedly the most expensive per capita in the world; it is estimated that the 2012 election cost $US63 per voter, compared to a global average of $US5 per voter. The 2017 election was marred by widespread issues with the electoral roll, violent clashes, and long delays in counting for some seats. After polling wraps, ‘the election after the election’ begins; in a fragmented party system with a high number of independent MPs, governing coalitions are typically made up of large and often unwieldy numbers of parties. Ultimately, Peter O’Neill’s ‘grand coalition’ – made up of members of his People’s National Congress Party as well as various minor parties and independent MPs – managed to secure 60 votes to re-elect him Prime Minister. This contributes to a system which Ron May describes as “disorderly democracy”, and Jeffrey Steeves has called (in the Solomon Islands context) “unbounded politics”. Papua New Guinea has a Westminster parliamentary system, inherited after independence from Australia in 1975. Westminster systems are common in the Pacific Islands region; of the 18 Pacific Islands Forum states (including Australia and New Zealand), half have Westminster systems, with presidential (or hybrid presidential) more common in the northern Pacific where the US influence is more apparent. The merits of Westminster systems in the Pacific – and specifically Papua New Guinea – have been debated at length. Westminster parliamentary traditions and Melanesian political cultures are seen by some scholars as incompatible: the combative nature of Westminster politics at odds with Melanesian traditions of consensus; the lack of a left-right political cleavage creating a fragmented party system and reducing the accountability function of a strong opposition; and geographically based political constituencies entrenching ethnic and cultural divides. Reform attempts, most notably the Organic Law on the Integrity of Political Parties and Candidates (OLIPPAC), have largely focused on strengthening the party system and reducing the frequency of changes of government, to limited effect. It has been argued by May that Papua New Guinea’s weak and fragmented party system, previously the cause of frequent government turnover, has now facilitated the rise of ‘executive government’, in which the executive exercises near-absolute power in the absence of both a strong parliamentary opposition and stringent accountability measures. A presidential system for Papua New Guinea has been proposed in the past, notably by Governor of the National Capital District and leader of the Social Democratic Party, Powes Parkop. A presidential system has already been adopted at sub-national level in Papua New Guinea, in the Autonomous Region of Bougainville, where a president is directly elected for five-year terms. Creating an executive branch separate to the legislative branch would distinguish national-level policy-making from the district-level service delivery function that current Papua New Guinea MPs tend to prioritise (and for good reason, as it is crucial to their chances of re-election). Furthermore, presidential elections would in theory focus on national policy over local interests, the former oft-cited as missing from parliamentary elections. The PNC-led government has already proven itself committed to decentralisation, and in a context with more provincial autonomy a presidential system could prove to be a national unifier. Yet a presidential system would of course not solve the issue of executive dominance as identified by May and others, and indeed has the potential to exacerbate it. So is a presidential system the answer? A change to a presidential system would not be a panacea to Papua New Guinea’s political challenges, and could potentially give rise to other problems. Yet, in a discussion on Papua New Guinea’s political future, it is a question worth asking. The Pacific region provides potential models for political reform, including Kiribati’s hybrid system in which a directly elected president is still subject to votes of no confidence by the legislature (but a successful vote of no confidence automatically dissolves the House, creating a disincentive to overuse). As other aspects of constitutional reform, including around decentralisation and guaranteed women’s political representation, have already been raised by the Papua New Guinea government, there is potential space for debate on the structure of the political system itself. This entry was posted in Pacific Islands, Papua New Guinea and tagged Pacific Islands, Papua New Guinea on October 9, 2017 by Kerryn Baker. Delivering a speech in French Polynesia during a visit to the French Pacific territories last year, outgoing President François Hollande said: “France is everywhere in the world. And when they say we go to the end of the world, I say: ‘No. We go to the end of France’.” France’s global footprint due to its overseas territories is extensive – les départements et collectivités d’outre-mer, as they are known, give France a presence in the Atlantic, Indian and Pacific oceans, and the largest exclusive economic zone (EEZ) in the world. Geographically remote and with relatively small populations, France’s overseas territories are often ignored in presidential elections, but the recent unrest in Guiana has brought them to the fore this year. The three Pacific territories – New Caledonia, French Polynesia, and Wallis and Futuna – have a combined population of under 600,000, less than 1% of the total French population. Residents of the territories have full French citizenship, including the right to vote in French presidential (as well as European) elections, and each territory elects representatives to the French National Assembly and Senate. In French presidential elections, there is traditionally low turnout in the overseas territories. The French Pacific is no exception; French Polynesia recorded turnouts in 2012 of just 49% in round one and 59% in round two. Low turnout is perhaps to be expected given the geographical distance involved, although the most remote territory, Wallis and Futuna, usually records the highest turnout. Another factor is the deliberate boycotting of presidential elections by pro-independence groups in New Caledonia and French Polynesia. Independence remains a very salient issue in the French Pacific in this year’s presidential election, with a referendum on independence scheduled to be held in New Caledonia in 2018. Anti-independence groups in New Caledonia generally align themselves with the major French conservative party (now The Republicans), while those pro-independence groups that do involve themselves with French politics tend to back the Socialist Party, in the belief that they are more sympathetic to the secessionist cause. While Nicolas Sarkozy – with a notoriously anti-independence stance in regards to New Caledonia – won significant support in the first round conservative primary there, François Fillon still won far more support in New Caledonia during the primaries than in the other French territories, winning 78% of the second-round vote in New Caledonia (Fillon lost in both Wallis and Futuna and French Polynesia, in the latter winning just a 5% share in the first round). After the ‘Penelopegate’ scandal which has threatened to sink his candidacy, several key political figures of the right in New Caledonia withdrew their support for Fillon, but others have rallied behind the candidate. This is important, as the success or failure of French presidential aspirants in the territories often says more about local politics than national politics. The endorsements of local political leaders are often crucial to the outcome – which is watched closely by observers for what it says about the popularity of these local figures, rather than the candidates themselves. For example, in the Isle of Pines in New Caledonia, Hilarion Vendegou – chief, local mayor, and a New Caledonian representative in the French Senate – endorsed Fillon in the primaries who went on to win both rounds in the locality easily. In French Polynesia, there has been much horse-trading amongst political leaders on who to support. Gaston Flosse – a dominant figure in French Polynesian politics for over 30 years, now barred from holding public office until 2019 due to a conviction for corruption – initially supported Sarkozy, then Fillon, before eventually endorsing Marine Le Pen. Claiming this was on the basis of her support for greater autonomy for French Polynesia, he stressed this was not an endorsement of her party, but rather her as an individual. Eduoard Fritch – current President of French Polynesia, and Flosse’s former son-in-law and protégé – initially supported Alain Juppé, and has now backed Fillon despite voicing criticism of his plans to cut public service spending and vagueness on territorial issues (Fillon has said the cuts will not affect overseas territories). Meanwhile, former French Polynesian President and the most prominent pro-independence figure in the territory, Oscar Temaru, attempted to stand in the presidential election to raise awareness of the pro-independence cause in French Polynesia. While he did not reach the threshold of endorsements needed to run, he gained the most support from elected officials in both French Polynesia and New Caledonia of any aspiring candidate. After failing to secure enough support to run, he advised his supporters to boycott the election. Of course, neither of the two highest-polling candidates going into the first round of polling are candidates from the two major political parties, meaning the political landscape – and what this means for the French Pacific – is uncharted territory. Le Pen visited the Pacific in 2013, and has voiced support for greater territorial autonomy and compensation for nuclear testing, as well as promising a greater focus on territorial issues. The National Front’s deputy leader visited the Pacific in December 2016 and promised to respect the provisions for an independence referendum for New Caledonia under the 1998 Noumea Accord. More recently, Le Pen has responded to the protests in Guiana, emphasising her key campaign messages on law and order, security and immigration. While the party has made a concerted effort to attract voters from the territories in this election, they have historically polled far lower in the Pacific territories than in mainland France (although significantly higher in New Caledonia than in either French Polynesia or Wallis and Futuna). Whoever wins the 2017 presidential election will play a key role in determining future political statuses in the French Pacific. They will have to deal with the impending referendum on independence in New Caledonia as well as calls for greater autonomy intensifying in French Polynesia. Thus, the ramifications of the 2017 vote will extend right to the end of the France. This entry was posted in New Caledonia, Pacific Islands and tagged France, Pacific Islands, presidential election on April 11, 2017 by Kerryn Baker. While the world’s attention had been focused on the US presidential election, on the other side of the Pacific Ocean the island nation of Palau (population, 20,000), formerly part of the US Trust Territory of the Pacific Islands, also went to the polls. But, where the US appears to have voted for unprecedented change, the people of Palau have opted for stability, returning President Tommy Remengesau for a record fourth term. Remengesau is the eighth President of the Republic of Palau, and the first to be elected for four times. This is not the first political record he has set, however. He was also the youngest ever Palauan Senator when first elected aged 28. He was elected Vice President in 1992 and 1996. He served two terms as President from 2000-2008, stood down to serve as a Senator from 2008-2012 due to a two-term constitutional limit, before being re-elected again in 2012 and now 2016. His father was also Vice President and President of Palau. Outside Palau, Remengesau is best known for championing environmental causes, including establishing a significant portion of Palau’s territorial waters as a marine sanctuary. This entry was posted in Pacific Islands, Palau and tagged Palau, presidential election on November 22, 2016 by Jack Corbett. On 29 September, Palau held its presidential primary race to determine which two candidates will face off against each other when the country goes to the polls on 1 November. Four candidates contested the primary election: incumbent President Tommy Remengesau Jr.; incumbent Vice-President Antonio Bells; former Vice-President and incumbent Senator Sandra Pierantozzi; and incumbent Senator Surangel Whipps Jr. In the primary, favourite Remengesau led with 49 per cent of votes cast, followed by Whipps with 39 per cent; Pierantozzi and Bells were eliminated. With two challengers eliminated, the presidential contest is now between two brothers-in-law, as Whipps is married to Remengeseau’s sister. Remengeseau noted that it was unusual for such close relatives to be contesting against each other: “It’s certainly not in our culture, and it’s very unusual because if you follow our culture you are not supposed to be running against a family member.” Yet, while it may be unusual, it is certainly not unprecedented. Pierantozzi initially won the vice-presidency after contesting against her nephew, and commentator Bernadette Carreon noted its inevitability in small island politics: “It’s a small nation, everyone is related to each other, so I think it’s just the way it is.” Going into the 1 November election having collected around half of the primary votes cast, Remengesau appears the favourite to win. This year has been a milestone for women’s political representation in Micronesia and the wider Pacific. In January, Hilda Heine of the Marshall Islands became the first female head of government in the Pacific Islands region when she won the presidency. In March, long-serving member of the Samoan Parliament Fiame Naomi Mata’afa became the country’s (and Polynesia’s) first female Deputy Prime Minister. Palau is at the bottom of the world’s league table in terms of women’s representation, with no women in its lower house, although there are three female Senators in its upper house. The 2016 primary election marked the second attempt at the presidency for Pierantozzi, who came third in the 2012 primary with 18 per cent of the vote. She is a well-known figure in Palauan politics, having previously served as Vice-President from 2001 to 2005. In her 2016 presidential bid, Pierantozzi highlighted economic growth as a key election issue. She also stressed the importance of increasing the number of women in Palau politics. While the presidential election will be an all-male affair – Pierantozzi again came third, although her vote share of 9 per cent was half of what she had received in 2012 – she was hopeful of women’s representation increasing in November in the House and Senate. Women make up a quarter of the 24 candidates contesting for the 13-seat Senate, and among the 33 candidates for the 16 House of Delegates seats, there are six women contesting five seats (including one running unopposed). While the highest glass ceiling for women in Palau won’t be cracked at this election, there is promise that the Senate and House of Delegates contests will result in real gains for women’s representation in the country. This entry was posted in Pacific Islands, Palau and tagged Pacific Islands, Palau, Women leaders on October 18, 2016 by Kerryn Baker. Nauru went to the polls on 9 July and returned Baron Waqa’s government for another term. The Pacific island nation has a population of roughly 10,000 (around 8000 registered voters) who elect 19 MPs for three-year terms from multi-seat constituencies by majority vote. There is no formal party system with parliament effectively made-up of 19 independent members. Because Nauru’s president is both head of government and head of state Waqa was re-elected to the post on the floor of parliament by 16 MPs. Two election observer teams – one from the Pacific Islands Forum and another from the Commonwealth Secretariat – declared the election free and fair, and commended the high voter turnout. It was reportedly the first time in more than a decade that Nauruan elections had been monitored by international observers. One reason for the heightened interest is that much of the media discussion in the lead up to the election centred on the creeping authoritarianism of the Waqa government (see this blog). Opposition MPs had previously been suspended from parliament – those under house arrest claimed their campaigning activities were curtailed – media commentary was sanctioned and foreign journalists effectively prohibited from entering the country due to high visa fees, and amendments to the criminal code made expressions of ‘political hatred’ punishable by up to seven years imprisonment. Some candidates had their employment contracts terminated – a move commonly believed to be government initiated. The fee for candidate nomination was also hiked to a level that made it prohibitive for many aspirant politicians. This latter measure was contested in Nauru’s Supreme Court, leading to the government eventually dropping the fee from $2000 to $500 (it had previously been $100). The government has been quick to claim the result as a ringing endorsement of their record and plan for Nauru’s future. In the aftermath of the result Justice Minister David Adeang accused the international media of beating up the accusations against his government as a means of undermining the operation of the Australian Government’s offshore asylum seeker processing centre currently housed on the island. Three of the MPs who had been suspended from the last parliament – Former President Sprent Dabwido, Squire Jeremiah and Mathew Batsiua – lost their seats. Another, Roland Kun, chose not to stand – he has since been granted a New Zealand passport on humanitarian grounds (his Nauruan passport had previously been confiscated on the grounds that he had taken part in anti-government protests and had spoken out against the government in the international media). Despite the government’s triumphalist tone, this story has a long way left to run. The Australian Federal Police confirmed a week after the election that they were still investigating Getax, the Australian phosphate dealer at the heart of an alleged political corruption scandal. Having left Nauru, Kun is said to be a key witness in that investigation. Needless to say, this is an interesting time in Nauruan politics. This entry was posted in Nauru, Pacific Islands and tagged nauru, Pacific Islands on July 21, 2016 by Jack Corbett. This is a guest post by Stewart Firth, Coral Bell School of Asia Pacific Affairs, Australian National University. Since the election of Nauru’s latest President, Baron Waqa, in 2013, democracy and the rule of law in that country have been under threat. The new government moved quickly to remove key members of the judiciary including the Chief Justice, who was not permitted to re-enter the country after foreign travel. A crackdown on media freedom followed, with foreign journalists effectively excluded by a prohibitive visa fee of US$5,000, and a ban placed on Facebook in order to check criticism of the government. An amendment to the criminal code in 2015 makes the expression of ‘political hatred’, that is to say, disagreement with the government, an offence punishable by up to seven years’ imprisonment. As previously reported on Presidential Power, three opposition MPs were suspended from Parliament for ‘talking too much to foreign media’ and bringing their country into disrepute. Since then a further two opposition MPs in the Parliament of 19 have been permanently suspended, leaving a rump of 12 to conduct Nauru’s business. As the 2016 election approaches, the Nauru government is using Parliament to suppress candidature: public servants must now resign three months before the election, and the fee for standing as a candidate has jumped from US$74 to US$1,500. This creeping authoritarianism has little to do, however, with the institution of the Presidency in Nauru. The Nauru Presidency is a Westminster phenomenon, and the President resembles a prime minister. Under Article 16, 2 of the Nauru constitution, ‘A person is not qualified to be elected President unless he is a member of Parliament.’ Parliament elects the President of Nauru after each election, he or she sits in a Cabinet that is formed from Parliament and is collectively responsible to it, and may be removed along with other ministers on a vote of no confidence. What has mattered in recent years in Nauru has been the Cabinet, not the President. In fact most observers think the author of Nauru’s retreat from democracy is not President Waqa but instead his Justice Minister David Adeang. Nauru hosts Australia’s asylum seeker detention centre, and Adeang has seized the opportunity created by Australia’s dependence on his country to amass power and suppress dissent, secure in the knowledge that Canberra will offer little criticism. New Zealand has suspended much of its aid to Nauru in protest. Australia has not. This entry was posted in Nauru, Pacific Islands and tagged democracy, nauru on May 18, 2016 by Kerryn Baker. Wouter Veenendaal – Microstate Foreign Policy: How Much Leeway for Presidents? On 18 December 2015, James Alix Michel was reelected as President of Seychelles, defeating his opponent by a razor-thin margin of 0,30 per cent, or 193 votes. Michel’s election victory ensured that the Parti Lepep (People’s Party), which had been in office since its coup d’état of 1977, will remain in power in the archipelago. While multiparty democracy was reinstated in Seychelles in the early 1990s, putting an end to the Marxist single-party regime, the ruling party has won all subsequent elections. It has now been in power for almost 40 years. Michel’s election victory was contested by the opposition, which cried foul over alleged irregularities. Commonwealth observers, however, noted that the fundamental rights of candidates, political parties, and the electorate had been respected. Regardless of whether the recent Seychellois election was fair or not, the outcome means that no major political changes can be expected in the island archipelago. This is especially true for foreign policy, which, as in other small island states, appears to be largely (pre-) determined by the country’s weakness and relative insignificance within the international system. As actors in international relations, small states are typically considered to be vulnerable and dependent. Their survival rests on the benevolence of larger states, as a result of which small countries do not have the capacity to develop a foreign policy of their own; they are regarded as mere ‘objects’ in world politics. 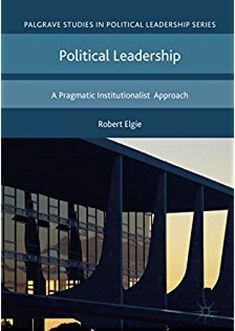 The extent to which individual leaders in small states can influence the foreign policies of their countries is thus considered to be inherently limited. The case of Seychelles appears to support this view: the collapse of the Soviet Union in 1991 necessitated a drastic reorientation towards the West, which was entirely motivated by a change in the international system. In fact, however, the smallest countries in the world (so-called microstates) often act in remarkable and rather exceptional ways in global politics. Together, Caribbean and Pacific island nations for instance constitute the bulk of states that recognize the international sovereignty of Taiwan, and the Pacific microstates of Nauru, Tuvalu, and Vanuatu were among the first and only countries to extend diplomatic recognition to the Caucasian breakaway republics of Abkhazia and South Ossetia. Out of the nine states that in 2012 opposed Palestine’s bid to become a United Nations observer state, five were Pacific small island states. How can these foreign policy choices be explained? The answer is: money. The examples above highlight that microstates often make strategic use of their sovereignty, negotiating their political support in exchange for material gains. In return for diplomatic recognition, Taiwan, for example, develops ICT facilities, provides police cars, or constructs new government buildings in various small island states. As a token for its continuing support for the People’s Republic, in 2008 China, on the other hand, constructed a new parliament building for Seychelles, and recently donated two aircraft to the archipelago. And in exchange for Nauru’s diplomatic recognition of Abkhazia and South Ossetia, the Russian government bestowed this Pacific island nation with US $31 million in hard cash. Whereas Seychelles has been steadfast in its support for Beijing, other microstates have occasionally shifted their diplomatic recognition. The Caribbean island nation of St. Lucia, for example, recognized Taiwan between 1984 and 1997, but then withdrew its recognition and established relations with China instead. In 2005, the St. Lucian government decided to reestablish its diplomatic ties with Taiwan. Microstates like St. Lucia thus take part in the so-called two-China game, in which they essentially award their diplomatic support to the highest bidder. Instead of having a passive and submissive role in international politics, these countries therefore actively and successfully make gains by playing off two large powers against each other. The examples also demonstrate that small states often do have a range of foreign policy options to choose from, which supposedly gives more leeway to presidents and political leaders in crafting the foreign policies of their countries. Another example is provided by the Micronesian island nation of Palau, which became independent from the United States in 1994. A large share of the public finances of Palau is derived from its Compact of Free Association with the United States, and it is hardly a surprise that Palau’s voting behavior in the United Nations General Assembly overlaps by over 97% with that of the US. In addition, in 2009 the Palauan President Johnson Toribiong came to the aid of Washington by agreeing to provide shelter to 19 Uyghurs who had been released from the Guantánamo Bay detention center, and under US law could not be returned to China. In exchange for financial aid, Palau, therefore, willingly plays the role of staunch US ally in the international system. In addition to the United States, Palau maintains close ties with Taiwan (which provided crucial disaster relief after a typhoon had hit the island) and Japan (which constructed the Japan-Palau friendship bridge between Palau’s two largest islands). Although Palau, in exchange for economic assistance, always supported Japan’s position on whale hunting in international fora, in 2012 President Toribiong suddenly dropped this support, arguing that whaling is incompatible with Palau’s support for nature conservation. In a similar fashion, newly elected Palauan President Remengesau recently made some cautious statements about potential cooperation with China, raising suspicions in Taiwan and the US. These examples demonstrate that political leaders of even the smallest states can and do strategically influence or pressure larger countries. In an upcoming article in Foreign Policy Analysis, I argue that the international relations between microstates and large powers can, in many ways, be seen as a patron-client linkage, in which political support is exchanged for material gains. Just like clientelism in a domestic context, from a normative perspective such relations can be denounced as opportunistic, immoral, or even corrupt. On the other hand, for microstates these relations offer unique opportunities to make the most of their sovereignty, and to independently position themselves in international affairs. While presidents of small island nations still only have a very limited range of foreign policy options, the presence of multiple potential patron states – and their growing number since the end of the Cold War – does give political leaders of microstates some say about their countries’ foreign relations. Dr. Wouter Veenendaal is a researcher at the Royal Netherlands Institute of Southeast Asian and Caribbean Studies in Leiden, The Netherlands. His research focuses on politics, democracy, and governance in small states, and he is presently part of a larger academic project that investigates non-sovereign territories in the Caribbean and elsewhere. This entry was posted in Caribbean, Indian Ocean, Pacific Islands, Palau, Seychelles, St. Lucia and tagged foreign policy, micro-states, Palau, Seychelles, St. Lucia on April 11, 2016 by Robert Elgie. Kiribati went to the polls again last week to elect Taneti Maamau as their new Beretitenti or President. Under the two round runoff electoral system presidential candidates are nominated by members of the Maneaba ni Maungatabu (parliament) and then compete in a nation wide ballot. Maamau ran against two candidates from the ruling Boutokaan Te Koaua (BTK) party, Rimeta Beniamina and Tianeti Ioane, eventually winning more than 20,000 votes. The President of Kiribati is both Head of State and Head of Government. Maamau is the fifth president of Kiribati since the country became independent in 1979. As outlined previously on this blog, Kiribati’s stability is an anomaly in a region where votes-of-no-confidence regularly topple governments. Constitutional provisions that ensure votes-of-no-confidence automatically trigger full elections are a key reason why this mechanism is rarely used in Kiribati. First, it brings an end to 12 years of BTK rule under the leadership of former President, Anote Tong. Tong had served the maximum three terms allowable under the Kiribati constitution. His advocacy work on climate change issues in particular had thrust the tiny island nation into the international spotlight. In recognition of this achievement Tong was recently nominated for the Nobel Peace Prize. Tito’s confidence reflects the high personalised nature of Kiribati politics and the fact that political parties play a minor role in mobilizing voters. In this context being a member of government offers MPs greater access to resources that, if used effectively, can improve their re-election chances. Third, the new government has been quick to claim a mandate for change. The nature of this change and the means by which it will achieved remains somewhat unclear. At the very least Maamau’s election represents something of a generational shift with the independence generation of politicians being slowly replaced by a new cohort of leaders. Its not that they are all gone – past presidents Tito and Tabai remain in parliament and the former is likely to be a key figure in Maamau’s government despite not holding a ministerial portfolio – but the baton is being passed on. Given the economic and social challenges that confront the island nation this is a sizable responsibility for the new man in charge and his cabinet. This entry was posted in Kiribati, Pacific Islands and tagged kiribati, Pacific Islands, semi-presidentialism on March 18, 2016 by Jack Corbett.